Yay! 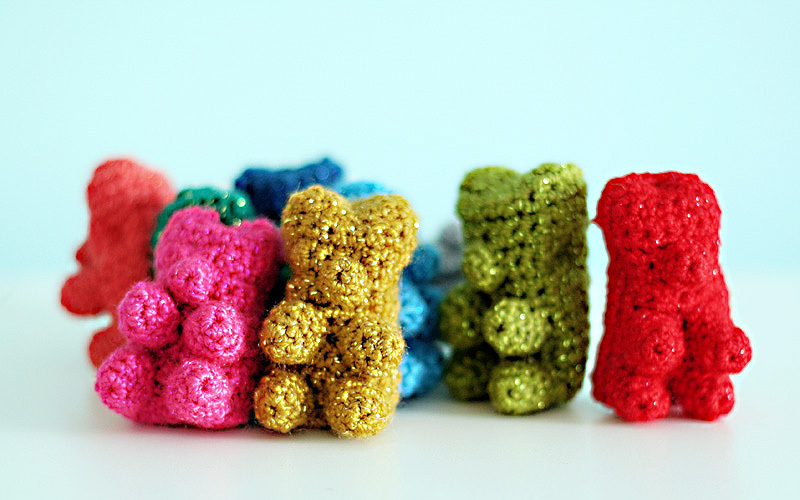 It’s the moment you’ve been waiting for: Lion Brand has posted my free pattern for Glitter Gummy Bears, just in time for your holiday crafting! One pack of Lion Brand Bonbons can make up to 8 gummy bears in a variety of colors. There’s a bit of sewing involved with the different little pieces, but if you are familiar with making simple amigurumi, this pattern will be a snap! I tried to keep it the pattern as simple as possible so that more people would be able to have some gummy bear fun! 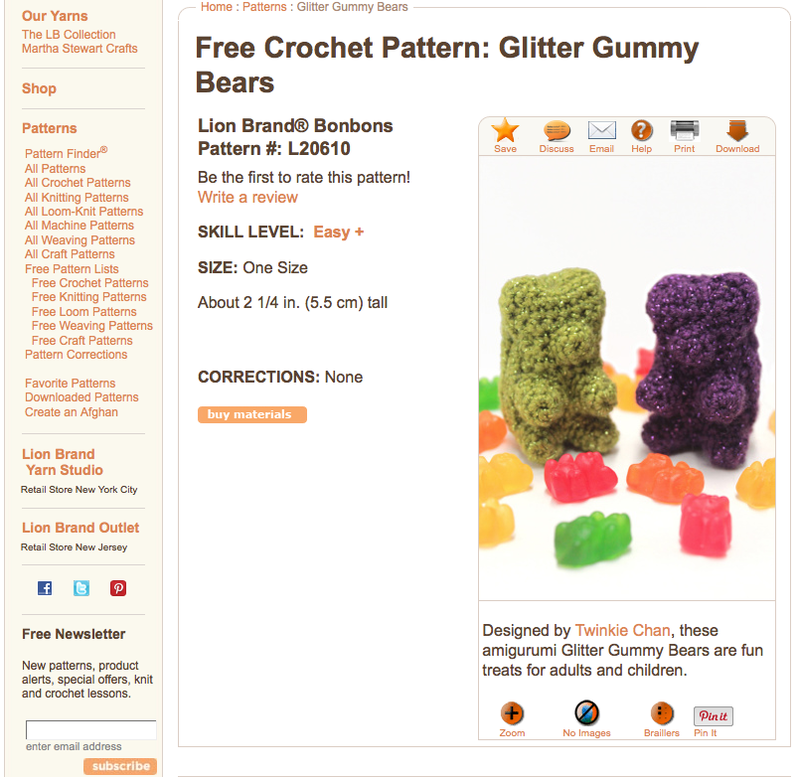 If you make a gummy bear and enjoy the pattern, please do leave positive feedback at the Lion Brand site on my pattern page. If you guys like the pattern, maybe more things will be in store in the future…! 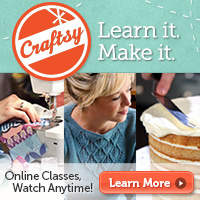 This entry was posted in Crochet, News, Patterns & How-To's and tagged pattern. Bookmark the permalink. I plan to make one with embroidery thread for a life size one! Eek! I was so excited about the gummy bears and it’s so cool that it’s a free pattern. 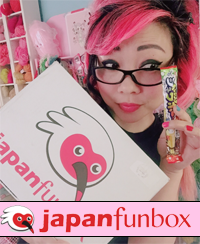 Those Bonbons are too cute and I’ve wanted to get a pack just so I can aww over them. I never would have considered using them for a project because they’re so cute on their own. But your gummy bears are totally appropriate for them. Hopefully I can make one (or two, or eight) this weekend. I’ll leave feedback when I do–assuming no one’s locked me up for freaking out over cute things. Yay! Finally! I can’t wait to make these as gifts! OMG it happened I’m so freaking excited and I’m off work tomorrow. I’m making bears all day! Thank you thank you thank you! Oh my gosh! I actually have been excited for this pattern since you said your first post when you were still working out the kinks! Ahhh!!! Do you mind if I post a link to this pattern on my blog too, eventually? those are so cute how do you make them? I made all the little pieces but I can’t figure out how to assemble the front and the back! Any advice? Please help! I’m going to make a string of these for my christmas tree, this year. I love this pattern. Thank you.